Duvetyne. What do you know about this popular fabric? Merriam-Webster defines duvetyne as a “velvety” and “smooth” fabric. 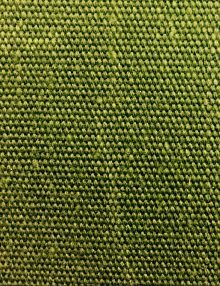 Its sheen is defined as “lustrous.” Typically, this fabric is a cotton or wool twill that is smooth on one side and velvety on the other. It is commonly used in movies and theater because it does a great job at blocking light. You’ve probably seen duvetyne when you go to a movie or play. The black fabric surrounding the bottom of a stage is almost always duvetyne. You may have seen the black fabric hanging in the background on some film sets, too. 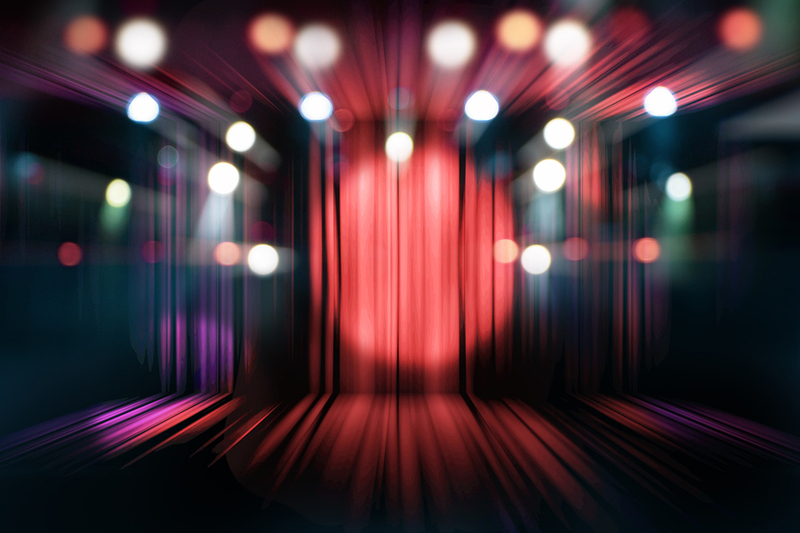 Why is it a popular choice in the entertainment industry? It comes down to the decorative and safety features the material provides. One of the safety features found in duvetyne is its nature as being fire retardant. The material will burn, but it doesn’t go up in flames as quickly as other materials. It buys a little extra time. As it’s often used to block light and is draped on lamps and lights, this fire retardant property is important. 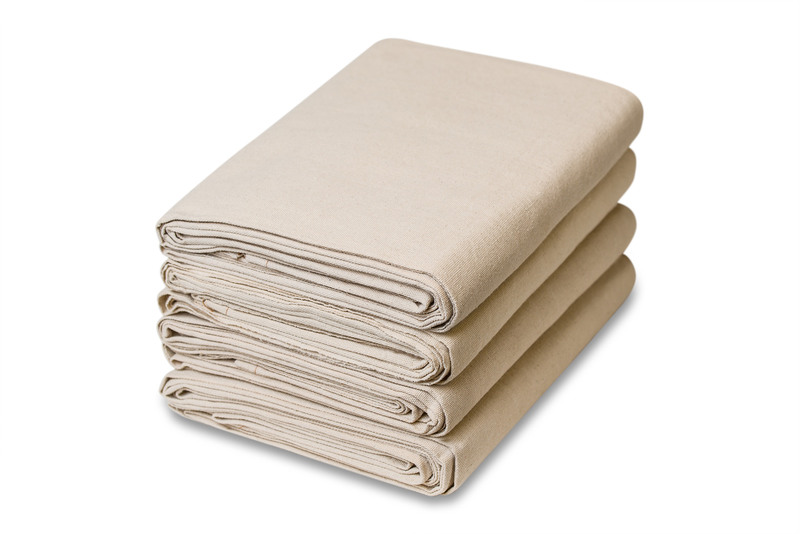 Duvetyne is typically made from cotton that is tightly woven into a twill material. The tight weave is the reason it’s good at blocking out the light. The tighter the weave, the less chance there is for oxygen to help fuel the fire. That’s part of the reason it is flame retardant. It’s often treated with a fire retardant chemical. 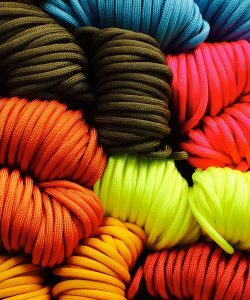 Together, this material ends up being known for its fire retardant quality that’s beneficial in areas where bright lights and a lot of lighting and filming equipment is close by. Duvetyne, which is also known as commando cloth when it’s heavier, is frequently used to block out any light on a set or stage. As mentioned, it’s the black fabric skirting surrounding a stage. Duvetyne or commando cloth flags and coverings are also useful in directing light to a specific area. If you’re shooting a scene around a poker table, a covering of black duvetyne on the overhead light makes sure that light goes directly to the table rather than the table and some of the surrounding area. Duvetyne blocks light, so it’s a helpful addition to lighting when taking professional photographs or shooting an ad, documentary, film, or TV show. In the past, duvetyne was used to make coats and other articles of clothing. Duvetyne is sometimes used to create the famous red outfit actors wear when portraying Santa in malls and other public areas. Today, the range of colors and weights allow you to use it for decorative items likely brightly-colored room dividers, backgrounds for special events, and backdrops for photo shoots. Around the home, you’ll find duvetyne is good at dividing up a loft into separate sleeping areas. If you work third shift and need to sleep when it’s sunny outside, use duvetyne for curtains that block out all light. What Weights Does Duvetyne Come In? 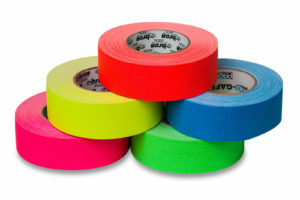 For your theatrical needs, 12 oz duvetyne comes in six colors. Black is popular, but you could also have grey, royal blue, silver, white, and wine. 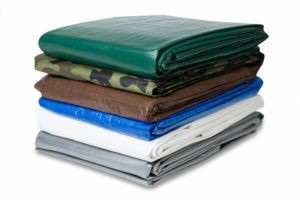 If 12 oz duvetyne isn’t heavy enough, the 16 oz commando cloth is also available. 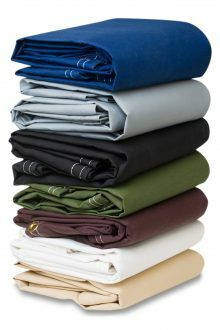 Black is available, but there are other colors in 9′ 10” (blue, burgundy, grey, red, or white) or 4′ 6” (beige, blueberry, cranberry, fire red, forest green, gray, and white) sheets. You can also get commando cloth in custom sizes. 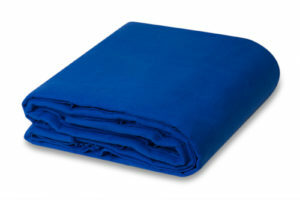 The duvetyne we supply is 100% cotton. There’s one more option if 12 oz or 16 oz duvetyne is not heavy enough. Sound Absorber material is 20 oz and blocks unwanted sounds. It’s double napped and is regularly used on stages where exterior noise is not ideal. 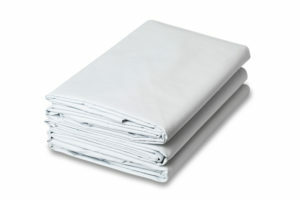 Like duvetyne, it is made from 100% cotton and is fire retardant. When you’re shopping for duvetyne, some of your options come in full rolls and others allow you to purchase it by the yard. Custom orders make it easy to get the right amount for your decorative or theatrical project. 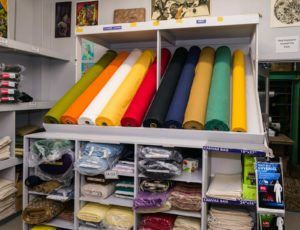 Chicago Canvas & Supply is happy to answer your questions or help you choose the right weight of duvetyne for your needs. Contact us today for a free quote or more information on theater fabrics. This entry was posted in Theater Fabric. Bookmark the permalink.